HENDERSON, Nev. (AP) — The first time Ed O’Bannon went up against the NCAA he was an 18-year-old with some serious talent and even more serious aspirations to play basketball at UNLV. Against an organization bent on destroying Jerry Tarkanian and his band of Runnin’ Rebels, it was no contest. O'Bannon got the news he would not go to the college of his choice while on the road with a traveling basketball team. To O’Bannon it was simple. The NCAA was making money off his image, and so was the video game company. He and the other players portrayed were getting nothing. 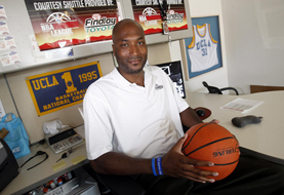 O'Bannon and others filed a lawsuit against the NCAA, challenging its ban on paying athletes. The suit also named video game maker Electronic Arts, which settled for $40 million in September and said it would no longer make video games featuring college teams. The NCAA, though, battles on. Lawyers are scheduled to go before a federal judge in Oakland on Thursday on a motion to throw out the suit, saying the NCAA has no rules that force athletes who want to be paid to go to school and that paying elite athletes would take away money used to fund other athletic programs. O'Bannon had wanted to come to Las Vegas much earlier, but his plans to play at UNLV fell apart when the Tarkanian was forced to resign under pressure from the NCAA for alleged recruiting violations. 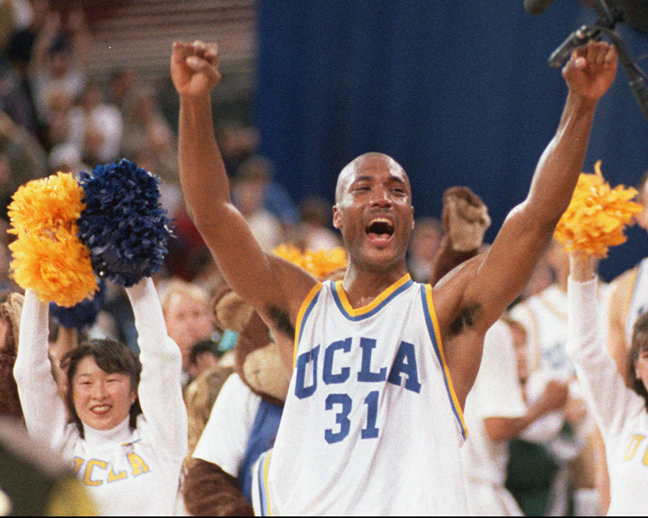 He signed with UCLA instead, and was the star of the team that went 32-1 and won the school's first national title since John Wooden retired 20 years earlier. O’Bannon was drafted ninth by the New Jersey Nets the year he was named MVP of the Final Four, but his NBA career never took off. He played three seasons for the Nets and Dallas Mavericks, then spent another seven years playing on teams in Europe and South America. He’s proud of going back to UCLA to finish a degree in U.S. history, proud of being the person that could change the way the NCAA does business. He’s also proud of his job selling cars, where he feels like he is part of a team, much like in his playing days. On a recent weekday O’Bannon said at a table in the showroom at Findlay Toyota, interrupted occasionally by other employees walking by or customers stopping to say hello. The organization takes in an average $771 million a year off the TV rights to its basketball tournament alone. It claims the suit’s demand for revenue from television licensing fees should be thrown out, because the NCAA has a First Amendment right to televise newsworthy events. There are signs the NCAA is feeling the heat. At the organization’s annual meeting last month in San Diego, large conferences proposed a $2,000-a-year stipend to help athletes. The stipend was approved in 2011 but shelved after small and medium-sized schools argued that they could not afford the payments. U.S. District Judge Claudia Wilken recently ruled against giving the suit class-action status that could have expanded it to include thousands of former athletes, saying there was no way to determine which of the former players might have been harmed by NCAA rules. But O'Bannon's suit — tentatively set for a trial in June — can go forward and others could bring similar actions. O’Bannon said he'll be happy when that day comes.